Pacific Northwest National Laboratory's Dr. Michel Dupuis was selected as a Fellow in the American Physical Society. The APS, founded in 1899, is a leading voice for physics, including chemical physics, in both the U.S. and international scientific communities. The society publishes several journals, including Physical Review and Physical Review Letters. 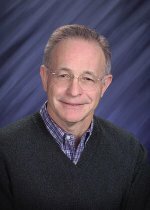 Dupuis received this honor "for his significant contributions to the development of electronic structure methods and computer codes for the simulation of molecular properties and reactivity." A Laboratory Fellow, Dupuis has more than 30 years of experience in developing computational chemistry methods and algorithms on supercomputers and their applications to chemical problems. Specifically, his work deals with the characterization of the electronic structure and reactivity of molecules, solids, and interfaces in processes relevant to environmental chemistry, electrochemistry, biochemistry, catalysis, and nanoscience. Dupuis is a strong supporter of the scientific community. He regularly mentors college students and post-docs, including serving as adjunct faculty at Washington State University-Tri Cities. Further, he publishes extensively, having authored or co-authored more than 160 journal articles.